Replacing Millie Kirkham, Kathy Westmoreland toured with Elvis during his 70s concert tours. Before too long their on-stage relationship turned to romance. During the time Elvis dated Kathy he bought her several cars including a blue Continental Mark V.
Shocked! Kathy and two other singers walked off the stage in front of the audience. Later Elvis apologised and they became friends again, and remained so till his death. 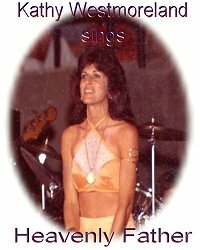 Today Kathy has her own fan club, a website, and about to release a CD of the songs recorded in 1978, to include the tribute single, You Were the Music and the song she sang at Elvis funeral My Father Watches Over Me. 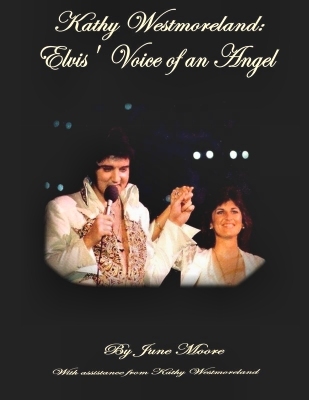 Kathy Westmoreland, who also dated and fell in love with Elvis, even wrote a book about it called “Elvis and Kathy.” And she’s got — we’re going to talk about Elvis’ passing away as well, and again I’ll get back to strange things about Elvis. Kathy dated and fell in love with Elvis, wrote a book about their relationship called “Elvis and Kathy.” Why did you break up? I dated him for about six months on a regular basis. Then it became obvious to me that there were other women. It just — you know how that is. KING: What was he like as a date? WESTMORELAND: He was fabulous. Oh, it was fun. He was very thoughtful. Almost motherly. KING: He didn’t sleep, right? WESTMORELAND: No. He suffered from insomnia. He was very much — I think a lot of geniuses are like that, just can’t turn it off is what he would say. WESTMORELAND: I miss him terribly.